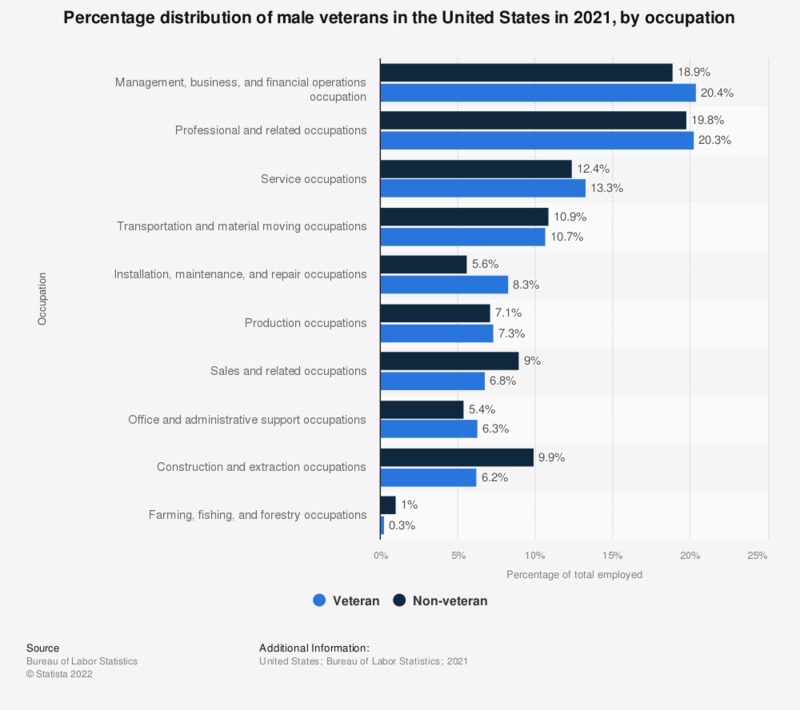 This statistic displays the employment share of U.S. male veterans in 2018, distinguished by occupation. In 2018, about 14.1 percent of U.S. male veterans were working in service occupations. Everything On "Veterans in the United States" in One Document: Edited and Divided into Handy Chapters. Including Detailed References. Which do you think is worse on the job - tattoos or piercings?